Head of the Holding Company for Airports and Aeronautics Mohamed Mahrous told Al-Ahram newspaper that the company will be initiating a trial operation for three new airports: the Sphinx International Airport on the Cairo-Alexandria desert road, the New Capital Airport, and the Bredwell Airport in Sinai. The trial will involve the operation of all devices, equipment, and systems within the three airports, in addition to operating all required facilities such as ambulances and navigation systems. 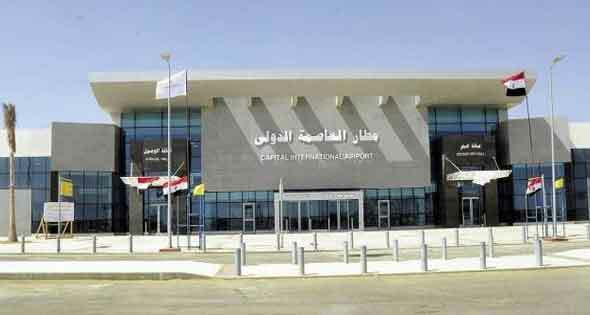 Mahrous said that the Sphinx airport initiated its trial operation in January, and the New Capital airport will begin its own trial on Wednesday. The Bredwell airport, meanwhile, is expected to begin trial operation by the end of March. At the time, Minister of Planning Mohamed Gabr praised the step, saying the new airports would ease movement from one place to another, both domestically and internationally. Gabr believed that domestic airports would primarily serve business agents and investors, while international airports would help boost Egypt’s tourism. In addition to the new airports, some existing airports are being renovated. Sharm El-Sheikh International Airport is currently undergoing a second phase of its renovation, which aims to increase the size of the airport in order to accommodate for a greater number of tourists. The arrivals section expanded significantly from 8 to 12 halls, while the airport entrance and exit have been beautified. The renovations will cost LE450 million. Meanwhile, the New Capital Airport comes as part of a larger ongoing project to build Egypt’s New Administrative Capital. The Administrative Capital was inaugurated in October 2017, and the first-stage infrastructure for the city will cost LE130 billion, it is expected to be complete by mid-2019. Various government ministries will relocate to the city after this date, while the third batch of housing units is also expected to be complete by 2019.